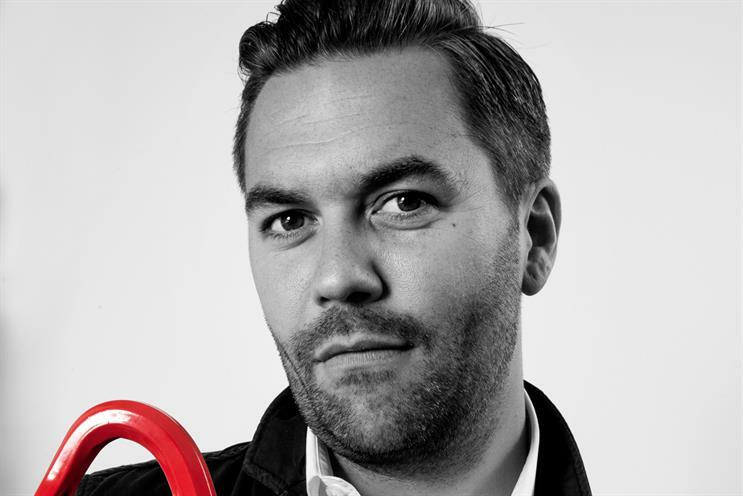 Nils Leonard, chairman and chief creative officer of Grey London, on how brands and agencies can revive and act on their ambition to change the world by entering, influencing and contributing to popular culture. Leonardo da Vinci was an artist, scientist, historian, botanist, writer, astronomer and much more. He was the archetypal pluralist and creative thinker and he knew that ambition, more than any title, lies at the heart of greatness. Beyond strategy, craft – talent, even – it is an appetite to matter that is the key to transformative creativity and the most powerful tool in business. Talent is what matters to us. And it’s going elsewhere. Why? Is our industry boring? What if it’s because they think our goals are small? What if it’s because they think what we do every day doesn’t matter? What if they’re right? We lament the wrong stuff. We read articles about the old Mad Men and our imaginations dance, soaked in whisky to the finely tuned clap of an arse being slapped. But we are missing the good stuff. The ones that gave us this industry had appetites far larger than any Ivy menu. We still talk about ambition. But when did it get so small? Not the ambition to craft something well, or the ambition to win the artisan cheese category, but the ambition to change our place in the world. Somewhere in the race to be modern, we doomed ourselves by making the stuff that drove us forwards, our enemy. We made ambition about shoulder pads and the people we wish we didn’t work with. We made it ugly. But, as a business, it’s ambition that keeps you adapting. More than surviving, it’s only ambition that can keep you growing. Ambition draws the talent that is our lifeblood. It is a survival mechanic. And frustration and failure are its parents. Advertising, by its traditional definition, is dying. And it’s fantastic. Agencies are no longer battling each other, but taking on Grumpy Cat, competing with the Ice Bucket Challenge and drowning in the onslaught of cheaper, funnier and more compelling content that’s flooding YouTube. Rather than shouting from our towers, we must get our hands dirty and go and play in the space where people choose to spend their time. More than just sell, brands must now enter and influence popular culture to succeed. They must contribute. It’s a simple choice: be useful, be relevant, viscerally entertain or be forgotten. And never mind all the pressure being on brands – the same applies to agencies. Are you a bilge-pipe of annoyance, or are you in the business of using your creativity to make something that actually matters? Because, for a brief second, this is the opportunity we have. To matter. A good idea can do more than sell stuff: it can save a life. Some of us will find this uncomfortable, because mattering is hard. And it moves us from being shadowy advisers to being companies that people might actually want around. Doing this sort of work often manifests itself as an attempt to do good. After all, creativity that does good is attractive. Because, just like a sharp rock tied to a stick, or the man who thought of sticking a biro in someone’s neck when they’re choking, a good idea can do more than sell stuff: it can save a life. But we need to dig deeper. It’s about a brand really looking at itself; not its budget split or roster of agencies, but its place in culture. Its social worth. Then looking at where the brand and what it stands for could best fit into the stuff we all enjoy. And that doesn’t always involve saving Africa. The most potent brands will have a cultural view bigger than just marketing spend. They won’t market to the world, they will behave in the world, with authenticity and personality. And like-minded people will seek them out and buy their stuff. This new path can ask difficult questions of a business. Some won’t like it because it forces change. It will mess with our industry, break our rules and systems, change departments and question titles. It will force us to improve. It will summon talent. In our queue into hell, between estate agents and bankers, we have been given a glimmer of hope, the brief opportunity to use our creativity to matter in the world. To be wanted. And any human with a marketing budget should find that inspiring.